The Cathedral was finished in 1880 and was established by French colonists following the conquest of Cochinchina and Saigon. 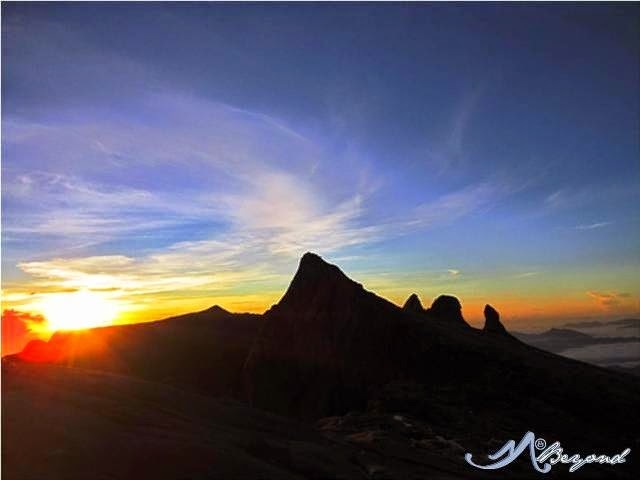 It has two bell towers with a height of over 58 meters. According to several online articles, initially it was called Saigon Church but in 1959, Bishop Phan Van held a ceremony to install the statue of Peaceful Notre Dame made with granite from Rome. 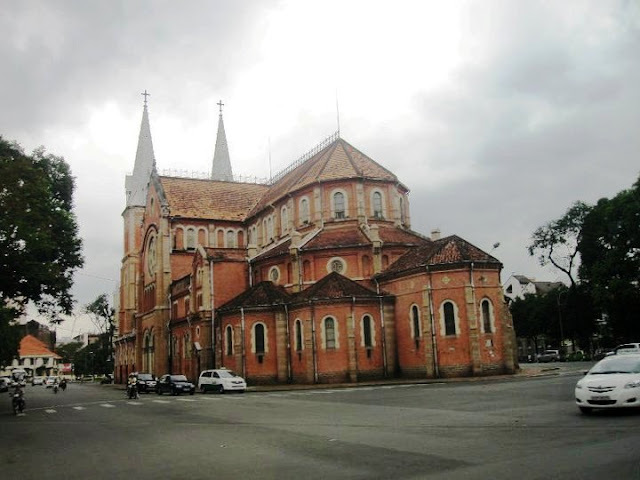 In 1962, after the Vatican anointed it as Saigon Chief Cathedral, it was called Saigon Notre-Dame Cathedral Basilica. Just across the Notre Dame Cathedral is the Central Post Office. The design was said to be a mixture of Gothic, Renaissance and French Influences. 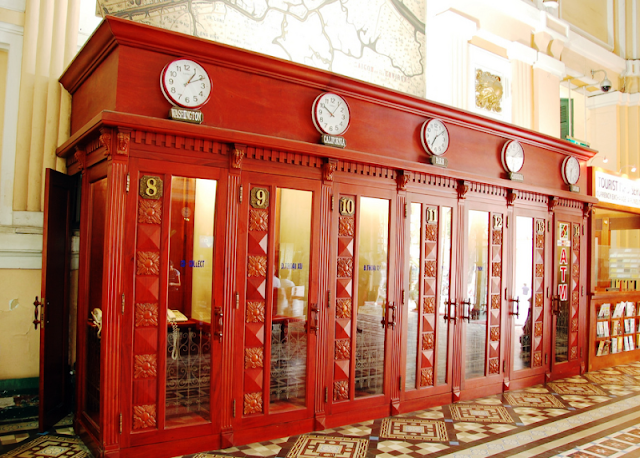 Telephone booths and ATMs are housed in red/orange maple-toned wood enclosures that added elegance to the place. Souvenir items are available here and for me rightly priced. It was here that I bought my fridge magnets which I discovered were cheaper than the market price without the need to haggle. 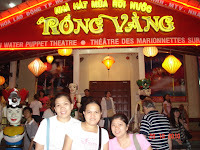 It was about 5pm when we left the Central Post Office for our next agenda, the Water Puppet Show. 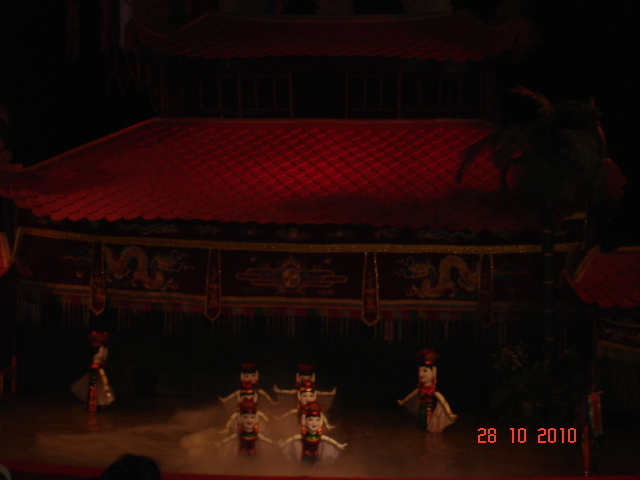 According to Haivenu Tours, Water Puppetry is a unique art form that originated from Northern Vietnam wet rice culture. 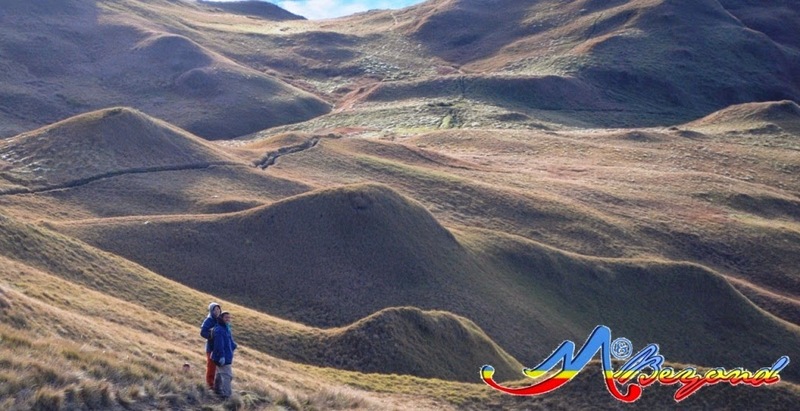 It began as a folk performance and gradually developed into a traditional art form and is now considered as a theatrical art. 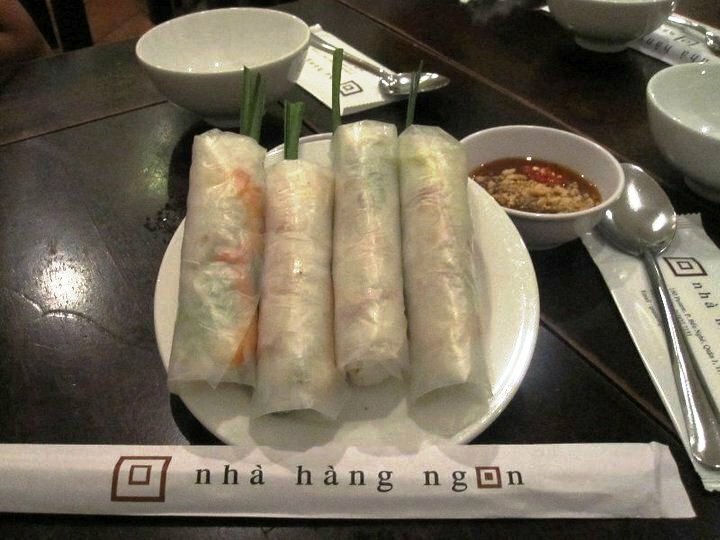 Said to have been first practiced in the Ly Dynasty, the art was passed down through generations to become a common form of entertainment in rural Vietnamese communities. 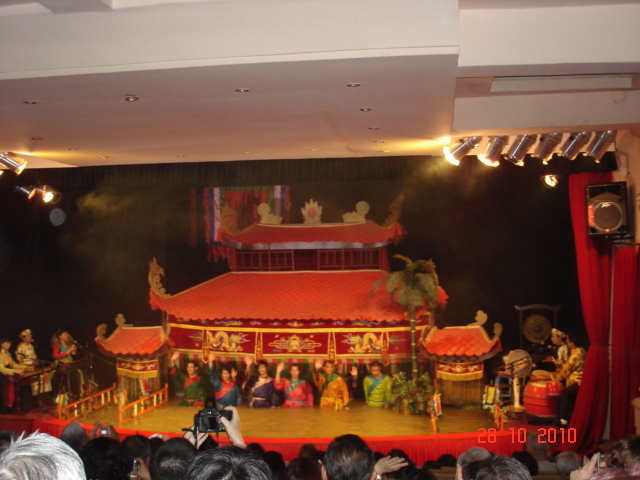 The center of the stage is a pond where the puppets are played while the puppeteers hid behind the bamboo curtain in waist-level water. The puppeteers take a great role for the success of the show. The puppets are maneuvered through the long rods under the water and the attached lines in the puppets heads or hands. Apart from the puppets, the music is another important aspect that is performed live along with the show. I thought at first that the show would be dreary but as it progresses, I started to enjoy it as laughter slowly filled the air. 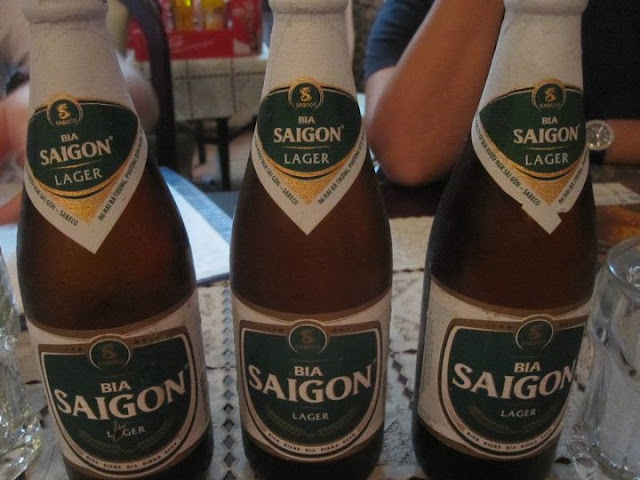 It was then that I realized and admired Vietnam’s every relaxation – simply by laughing out loud. 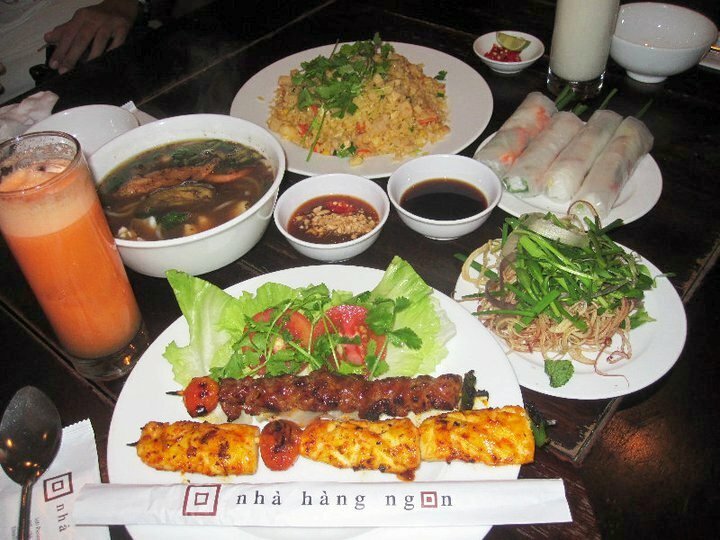 After the puppet show, we had our dinner at Nha Hang Ngon, said to be the number 1 authentic Vietnamese restaurant in Ho Chi Minh. 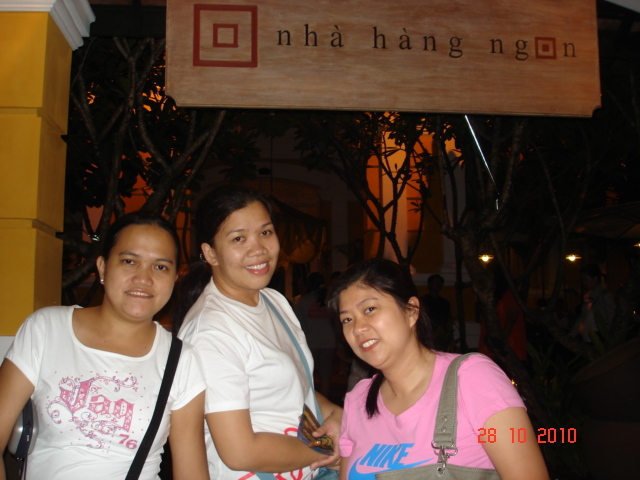 We paid a total of about VND320000 or Php625. Wow! Before we went back to our hotel, we did a quick shopping at the Ben Thanh Market where I bought several bags -- Krumpler camera bag, Kipling bag, Vietnam souvenir bags and kapis-shell shoulder bag. I less cared whether the Krumpler and Kipling is original or otherwise, I was simply happy with my loots for the day. 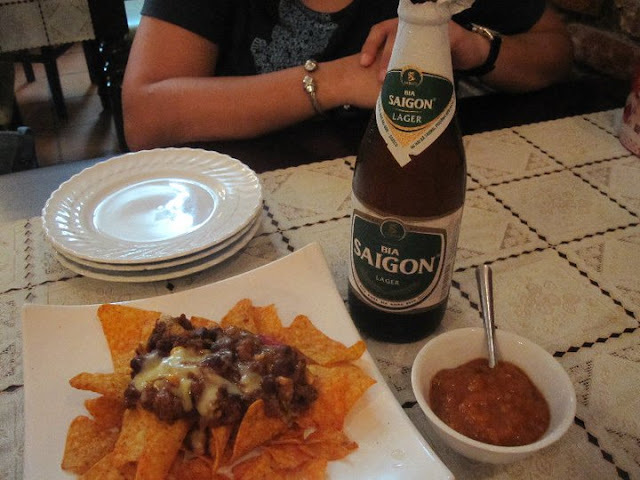 I thought we will call the day off early but of course, we can't afford to miss the nightlife and the Saigon beer. Since establishments are pretty small, the alleys at night serves as an extension of the club. 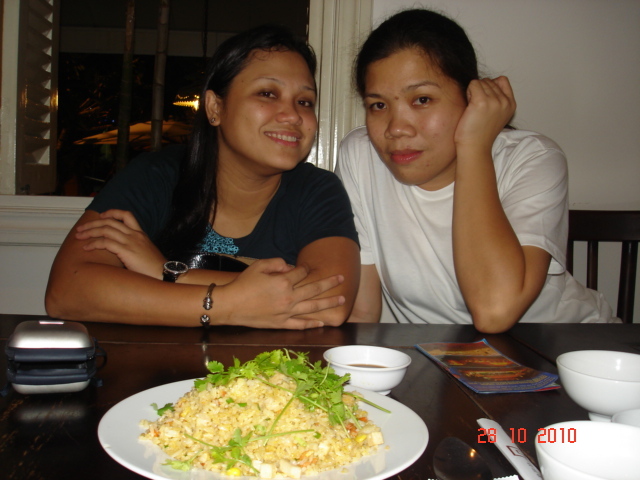 Foreigners and locals alike party all night as a way to end the day.